On our vast network of springs, lakes, rivers and Gulf of Mexico coastline, paddling a kayak or canoe is an excellent way to slowly take in the sights and sounds of Natural North Florida. 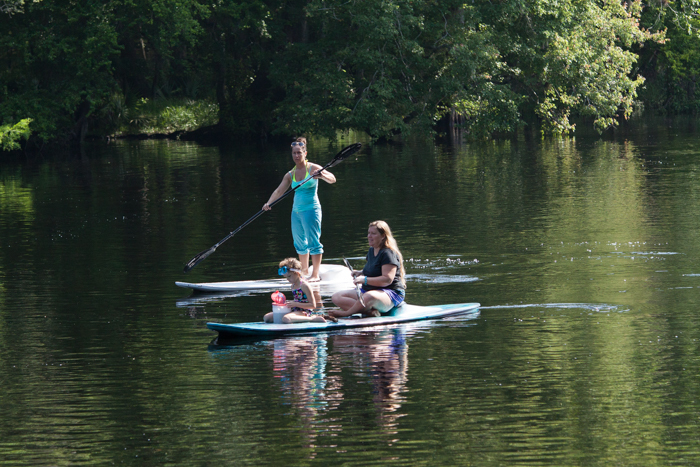 Whether you intend to putter around the spring run at Blue Springs in Gilchrist County or take 10 days to paddle the 170 miles stretch of the Suwannee River from White Springs to the Gulf, you’ll find plenty of places to launch you boat, or to rent one from a local outfitter. If you’re a planning to visit our Natural North Florida region, you may want to bring your own kayak or canoe. But if you’re not driving or don’t want to drag your boat by car, consider renting one. Most of our outfitters offer not only rentals of kayaks, paddleboards and canoes, but also offer livery services to and from pickups along the major rivers. There’s nothing more relaxing than a slow drift DOWNSTREAM knowing that you’ll be picked up and delivered back to your starting point.